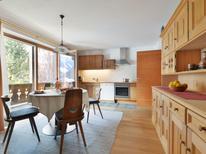 Holiday apartment for four people in the “Naturresidenz Theistadl” in North Italy. 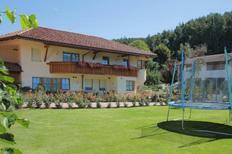 ​South Tyrol | Would you like to know which holiday home or apartment is particularly worth spending a holiday in? 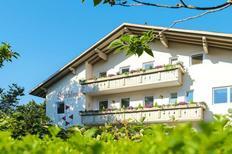 Here we'll show you the accommodation in South Tyrol, which has received the best reviews from our customers. South Tyrol | The fruit tree blossom in the Venosta Valley and around Merano transforms the landscape into a bright and fragrant sea of colours in the spring. Enjoy this time between the end of March and the beginning of May. South Tyrol | Whether Golden Delicious, Red Delicious or Gala – apples find the perfect growing conditions in the mild climate around Merano. The harvest time starts here in mid-September. 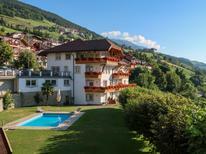 A holiday house in South Tyrol costs on average GBP 874 in the cheap travel period and GBP 1,313 in the peak season per week. These details are of course in relation to the house and not per person as well as includes the obligatory additional charges. Pining after the beauty of rural tranquillity but keen to experience the joie de vivre of Mediterranean activity? 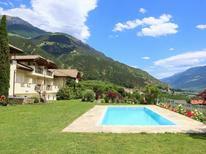 Then a holiday home in South Tyrol couldn't be more perfect. The region combines the glory of mountain slopes with cultural wines, traditional foods, and winter sports. Here the rural splendour of the Dolomites overlooks lush valleys full of vineyards, traditional towns, and local markets. 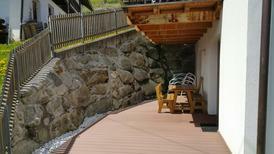 So holiday in South Tyrol: a place where the people are as welcoming as the scenery. 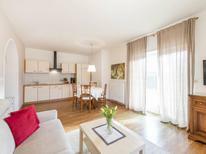 For those in need of excitement and activity, book a holiday apartment here in winter. Known as the region of winter sports, this long standing tradition does not disappoint. At Ortler Skiarena, family ski instructors are readily available and look after you, whatever your experience of the area, and the 130 Toboggan runs that race around South Tyrol can provide days of entertainment. Cross country skiers can enjoy trails stretching over 1,300 km right outside your holiday apartment while those who need something more high octane can engage in the Dolomiti Superski circuit which will bring you back to the region time after time. 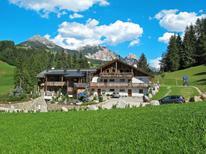 Tradition and style blend perfectly in the form of South Tyrol's North Italian Alpine huts. Perfectly in keeping with the cultural heritage of their surrounding towns, these huts are also home to some Michelin star chefs who provide the perfect end to a day's trekking or skiing. Whatever your budget, food is a big selling point and the area's 300 sunny days are well exploited by 8000 local fruit farms. The local pork delicacy, speck, is both aromatic and tender and is well accompanied by the 20 types of grape growing in South Tyrol's vineyards, many of which are open to visitors. If you want a holiday home in a winter wonderland or a summer paradise, then South Tyrol is beckoning you. It is an escape to the slopes that you won't want to miss.